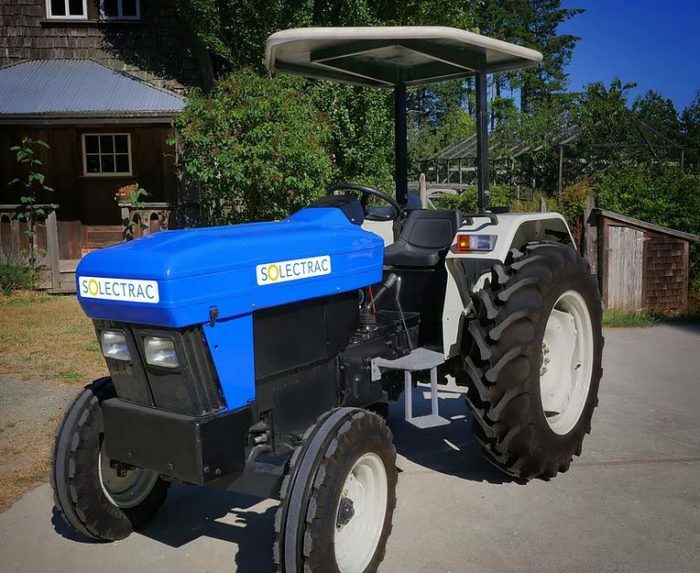 Solectrac has developed 100% battery powered, all electric tractors for agriculture and recreational applications. Solectrac tractors provided an opportunity for farmers around the world to power their tractors by using the sun, wind, and other clean renewable sources of energy. Farmers are now independent of the pollution, infrastructure, and price volatility associated with fossil fuels. Specifications eUtility: The 30 kWh onboard battery pack provides 5-8 hours of run time depending on loads.. Level 2 fast charging for 80% charge in 3 hours or full charge overnight. The integrated battery management system (BMS) automatically protects the batteries during charging and discharging. The eUtility accepts all Category 1 – 540 rpm PTO implements on the rear hitch. Linear actuators provide 1,000 lbs. of dynamic load and 3,000 lbs of Static loads. This actuators replace inefficient hydraulics. Zero emissions and quiet power. No more diesel fuel, hydraulic fluid, engine noise, and exhaust fumes. 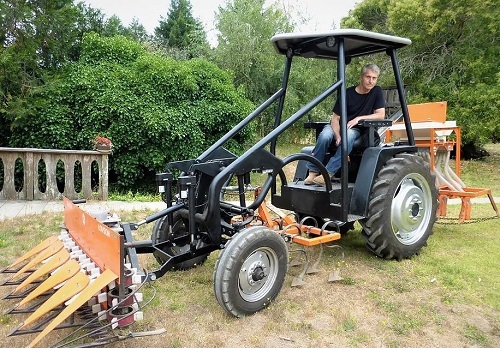 The eFarmer combines clean, quiet versatility, with high visibility for organic row crop farms at a fraction of the cost of diesel fuel tractors. A simple joystick controls steering and speed. 20 kWh onboard battery pack provides 3-6 hours of run time (depending on load). Optional “Exchangeable Battery Packs” quickly connect to the front, mid, or rear 3 point hitches for extended or continuous run time. Tracks can be adjusted from 44″ to 72″ allowing row widths from 30″ to 40″. Rear hitch accepts all Category 1 – 540 RPM -PTO implements.